I have shared my plans for artist and composer studies, but what about the studio arts? Over the past year I have used Atelier Art Level 4 and part of level 5 with my kids and their cousins. We have completed all of the lessons I have, and I do not want to move on with Atelier because I think Level 5 is too advanced for my youngest at this time. Instead, I want to shift our focus this year to drawing skills. Since we will be studying botany and have 9 state park field trips planned for nature studies, it seems like a good time to hone our sketching abilities. I found Hooked on Drawing over the summer, and purchased it for the crocodile hunter. It is a very easy to teach step by step set of lessons on drawing. I don't know how often we will use it, I am guessing it will be a weekly assignment scheduled in one of his workboxes. 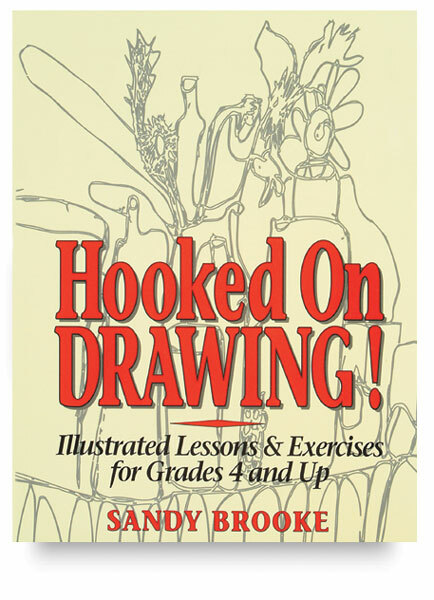 I have created a checklist for the first section of this book which is focused on line drawing, and I like the way each is broken into very manageable exercises. It requires very few supplies (most lessons need paper, pencil or pen, and maybe a few household objects) and seems the perfect art instruction to incorporate into his workboxes. Here is a link to my breakdown for the first section of the book.